This year, Austin’s seminal SXSW festival — an ever-growing conglomeration of film, media, and music in Texas’ capital city — brought interior design to the forefront of attention. Bringing together Office Insight’s Bob Beck, HP’s Laura Delafuente, Lauckgroup’s Brigitte Preston, and Teknion‘s own Jennifer Busch, an hour-long panel discussion explored the future of office design, charting a quickly changing landscape whose evolution is strongly informed by technology and culture. Shifting Spaces: Not Your Grandfather’s Office at SXSW. Photo via Teknion. “Say goodbye to your grandfather’s office with coveted corner offices and technology that kept him tied to his desk. This panel of workplace experts will challenge the norm on how companies should address maximizing space, creating a strong company culture and improving employee efficiency — all via a well designed physical environment. 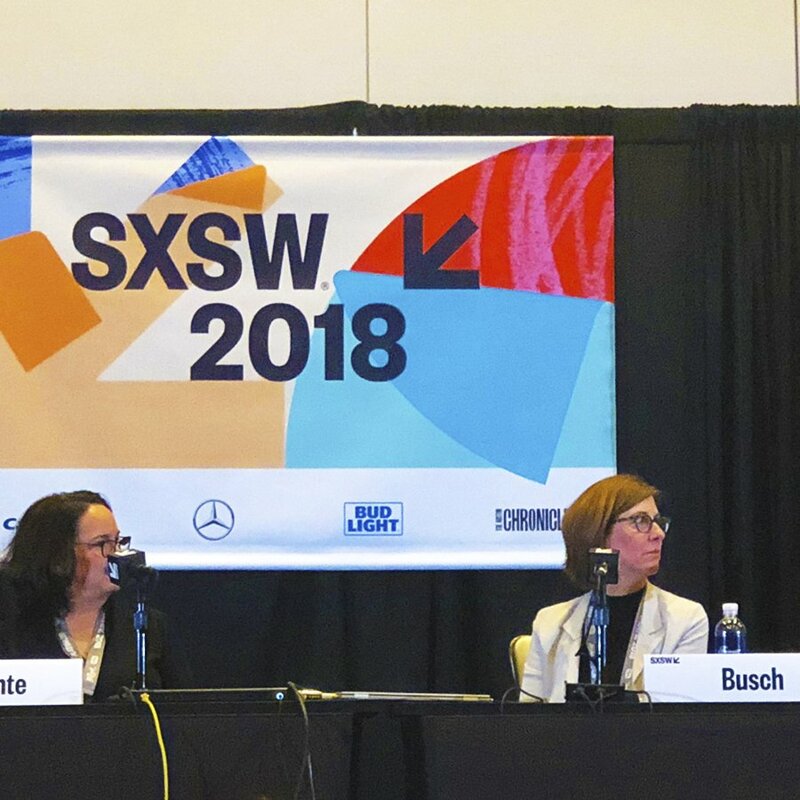 Teknion will also share excerpts from the latest in its series of Design Does Matter books, the True Measure of a Space is How it Makes Us Feel,” the SXSW event description reads. A full schedule of this year’s SXSW events is also available via the festival sites, linked here. Video or audio recordings of a number of panel discussions have also recently been published. This year’s festival took place from March 9th to 18th.